Hey y’all, I’ve got my last tutorial for the month up today, and admittedly I am stretching the definition of sundress a little with a swim cover up, but hey, you wear it when it’s sunny, right? 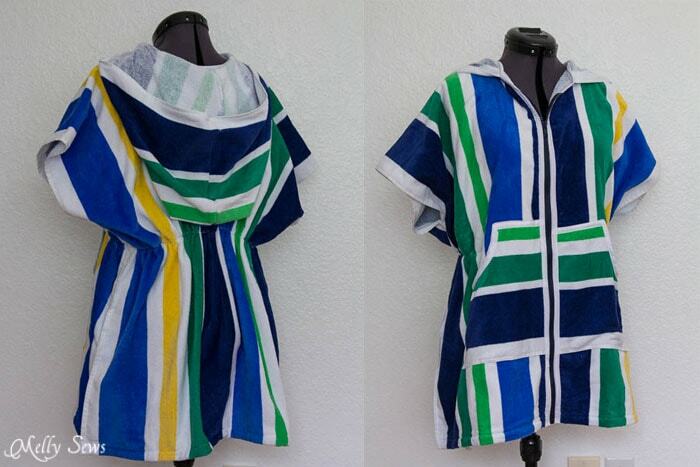 I have other swim cover ups – sarongs, this one I made, but none of them is quite perfect for chasing two active boys. 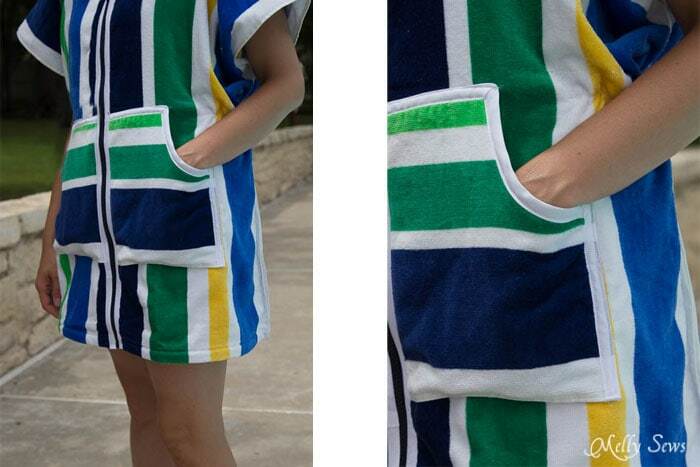 I need something that opens up to almost a full towel and can also be quickly closed for wearing. What I needed was something with a zipper I decided. And pockets – pockets are a must to carry pool keys and other essentials. So this is what I came up with. One or two beach towels. I used two beach towels measuring 30″ by 60″. 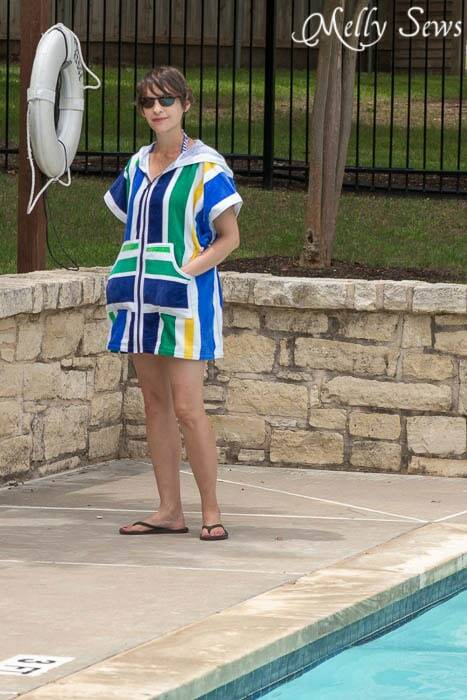 I wish I had gone with the 70″ beach towels, because this feels a leetle short, and also I’m short (I’m 5’3″, for reference) so… On the other hand, if you skip the hood and pockets you could make this out of one beach towel. 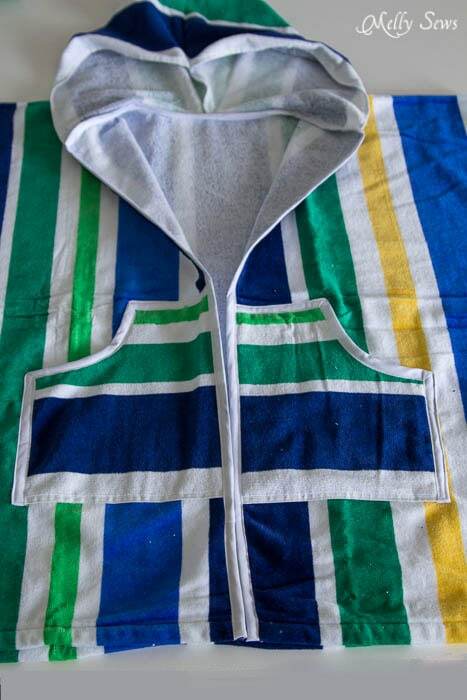 Or do one beach towel and use a hand towel for the pockets. A separating zipper. I used a 24″ one; if you’re using a longer towel you might want a 26 or 28″ one. 2 packages of extra wide (1/2″) double fold bias tape. Or make your own; you’ll need about 4 yards. 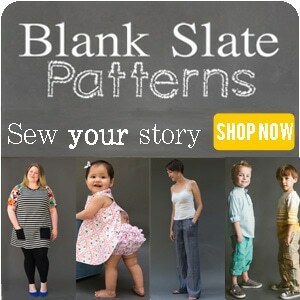 Note – you’ll be customizing your size with the elastic, so this is kind of a one size fits all sewing project. At least as long as you’e not wider than your beach towel is. 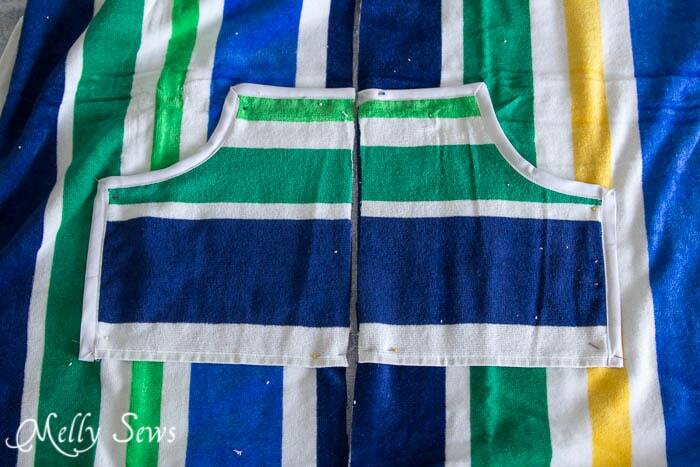 Okay, fold your main towel in half, wrong sides together, matching the short ends. Cut up the center front until you reach the fold, as shown above. Then cut a scoop for the front and back neck that measures 8″ across and 1 1/4″ down at the deepest part of the scoop. Tip: cut one side to the center, then fold your cut scoop to the other side to make sure you make a symmetrical cut. Set the main piece aside for a moment. Resist the urge to clean up towel fuzzies – you’re just going to get more of them before we’re through. 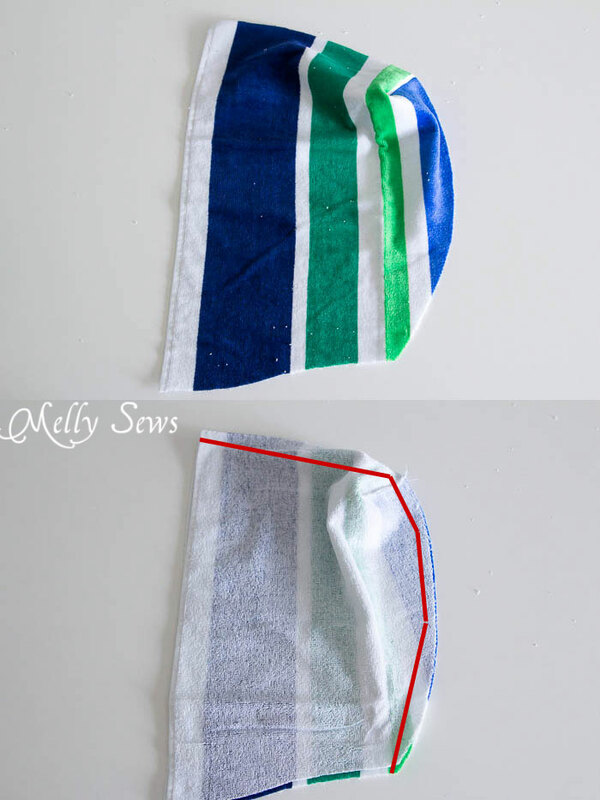 If you’re putting a hood on, cut your hood out of the other towel, with one of the finished towel edges along the face edge of the pattern (you can see this on the left in the picture below). Next, fold each side of your hood as shown above, the stitch across the notched out piece as shown by the red line. FINISH this seam with either an overlock or faux overlock stitch to control the fuzzies. When you’re done it will look like the image below. Place your two hood pieces right sides together as shown above, matching the seams, and stitch them together along the red line. Again, FINISH YOUR SEAM. Mark the center back of your neckline scoop on the other towel piece. Pin the center seam of your hood to this mark, then pin the rest of the hood along the scoop edges. If you’re off a little you can cut the front neck edges to taper in. Stitch the hood to the towel. Next it’s time to make pockets. Cut two rectangles, approximately 8″ by 9″. Round out one corner as shown below for your hand to go in. If you can, cut these so that the bottom edges are on the finished edge of the towel. 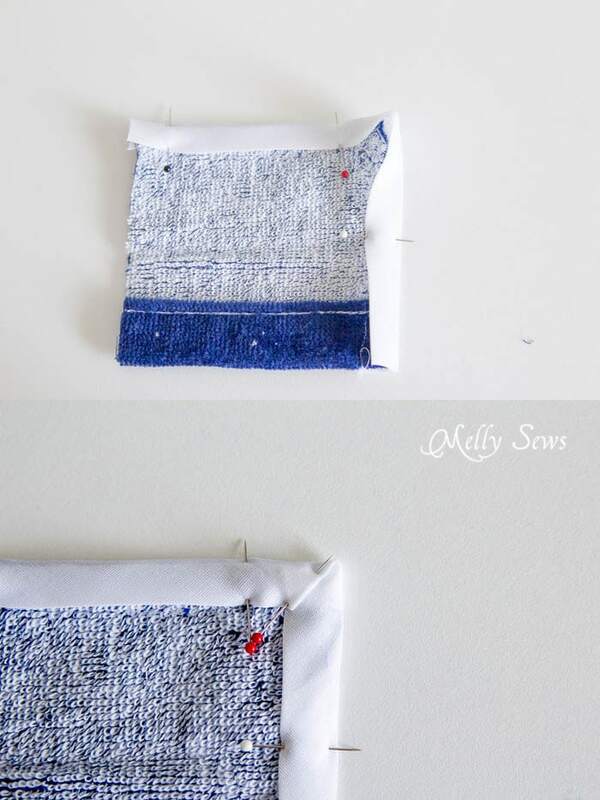 You’ll need to finish the raw edges of the pockets with bias tape. 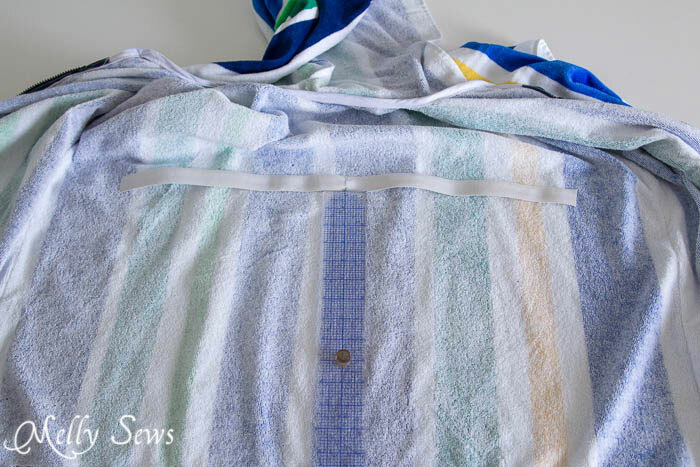 If you’ve never sewn bias tape before, start with this post. 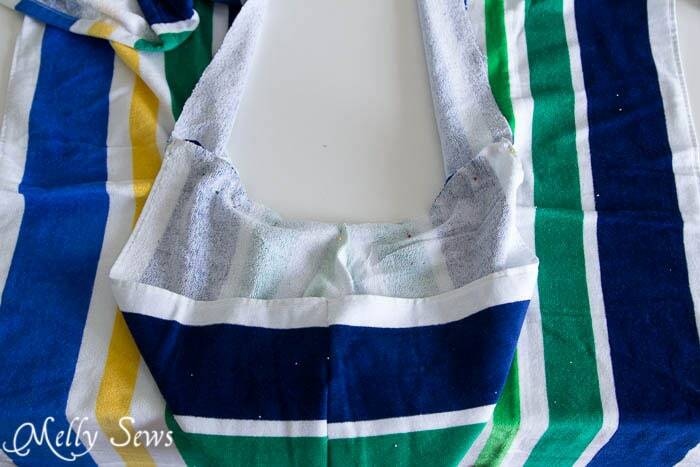 If you have sewn bias tape, just make sure you know how to miter corners as shown below. Unfold bias tape and pin to right side of fabric. Stitch in fold nearest raw edge, stopping 3/8″ before the corner. 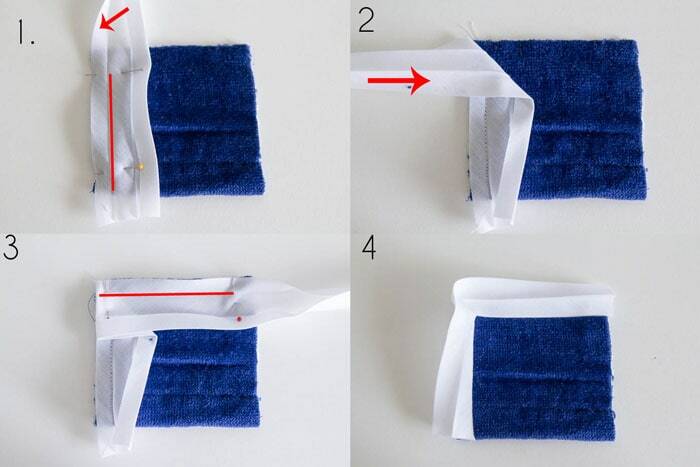 Fold the bias tape down and over to form a 45 degree angle as shown in step 2. 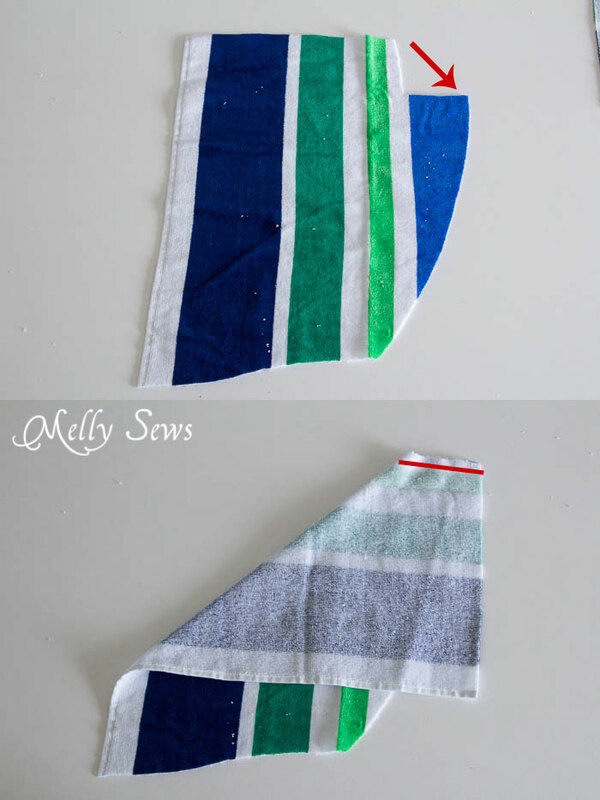 Hold the 45 degree angle, then fold the bias tape in so that the wrong side is once again face up. Stitch over the corner and to the next corner, stopping again 3/8″ before the corner. When you unpin, this is what your corner will look like; see image below to continue. On the wrong side, this is what your tape will look like. Press the excess tape at the corner in to form a mitered corner on the back, as shown above. On the right side, stitch close to the edge of the tape, catching the tape on the wrong side to secure in place. Below is what your mitered corner will look like on the front side. 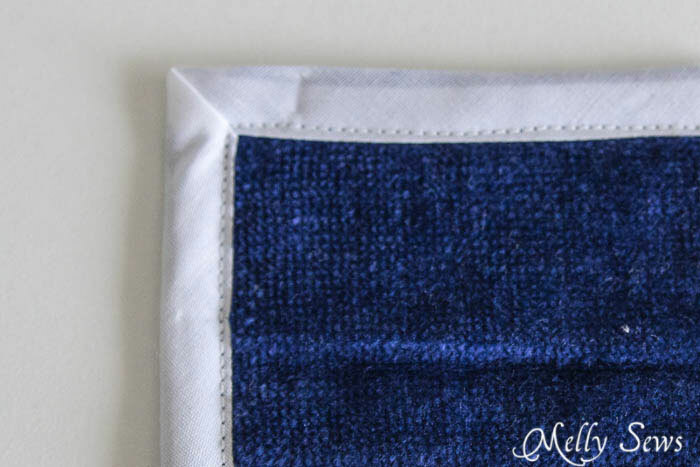 After your pockets are trimmed with bias tape along the outer edges, you can pin them to your cover up. I did not finish the inner edges (where the zipper is going to go) because I finished those edges in the next step. Use one long piece of bias tape to finish the front edge of your cover up, around the hood seam, and over to the other front edge, as shown below. 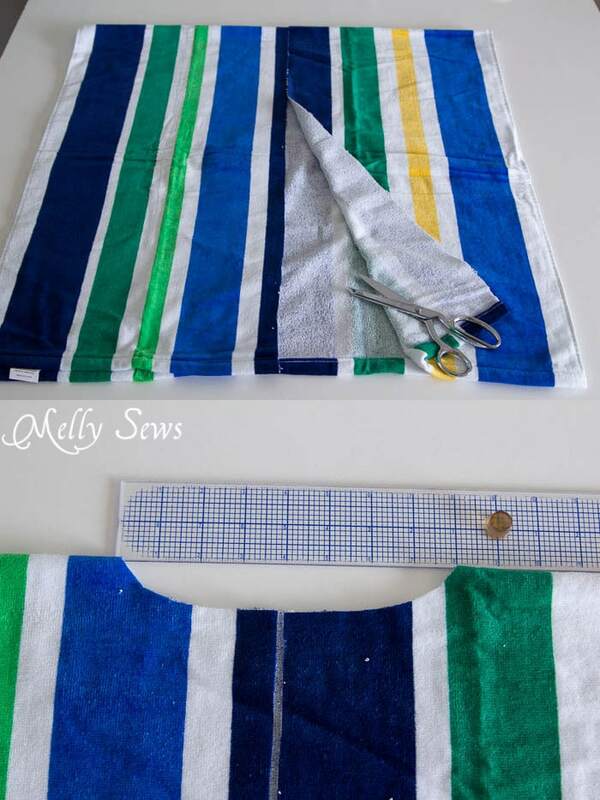 Starting 10″ down from the shoulder fold, sew the side edges of your towel together to the bottom of the towel to form the sleeves and side seams. 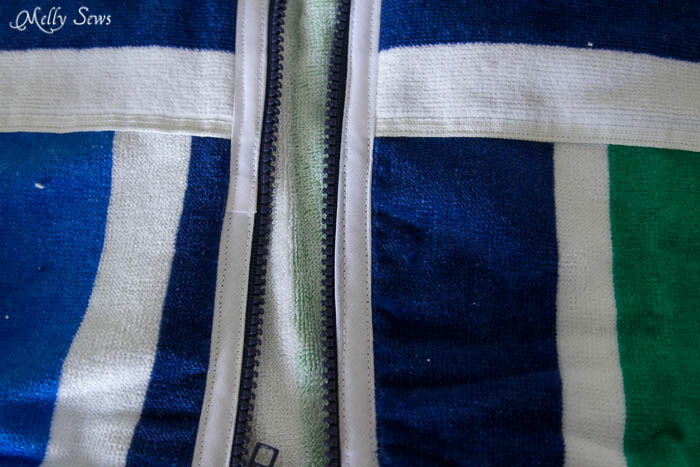 Pin your zipper under the bias tape edges of the front with the zipper zipped, starting from the bottom edge. Unzip the zipper while pinned and then sew each side into place using a zipper foot. (Need zipper help? see this post). Your zipper may not go all the way up to the hood (mine didn’t) and that’s OK. This is a loose fit garment after all. Finally, take 3/4 of your waist measurement and cut that much elastic. Pin the center of the elastic to the center back, at waist level, then stretch the elastic as you sew, using a zig-zag stitch. You may want to mark a waist level line to keep lining your elastic up to as you sew, because it’s hard to pin this. My elastic stretched to even with the pockets on the front of my cover up. This way the elastic will gather the back and sides and give the cover up a little shape. 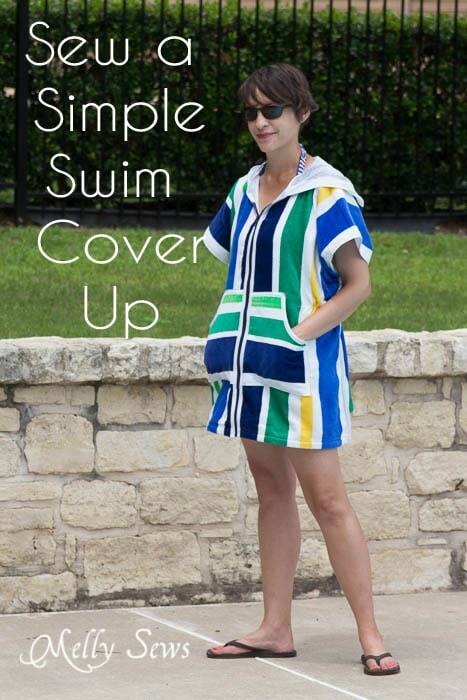 And wear your cover up to the pool! Thank you for posting this. I need to make me one, so I don’t have to carry my towel as well as my kids! I just love love love this!!! I love how the elastic gives it that “just right” look. I’ve never made anything like this. I’ve mitered corners in quilting so I’m fine with that. It took me a minute looking at the hood to figure out how it goes together, but my mind finally “got it” and I am ready to jump into this one!!! I’m evening thinking of slant pockets with velcro closures or flap/snap pockets to keep keys and snack money from falling out, since I tend to lose everything. You’re awesome!!! 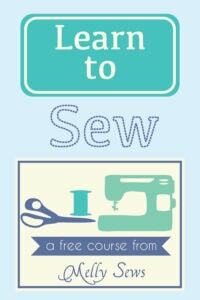 This is a great summer sewing project to get me jumpstarted!!!! THANKS! Love it with the hood!! Thanks a lot for the tutorial! Omg this is so cool! I loved that you used beach towels. Finding good terry cloth can be difficult and towels have lots of print options. This would also make a great gift, too, since it’s kind of one size fits all. This is lovely. You are a smart young woman! Extremely talented! This is just what I was looking for. 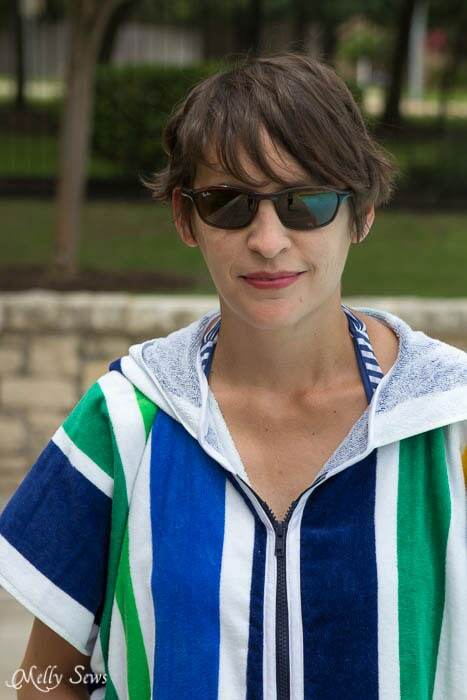 Swim suit coverup: Thanks for the inspiration to make something more sophisticated than two towels sewn together. I bought three beach towels at the ‘op shop’’ for $9 Australian. I didn’t add elastic, or bother to put in a zip after increasing the neck opening. Perfect after my aqua class!